Your garden is the perfect place for insects to find these two crucial ingredients. 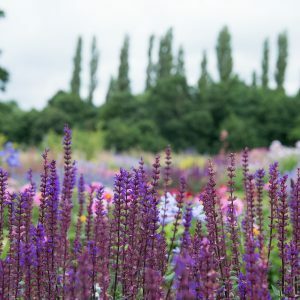 It’s part of a huge network of 15 million gardens that criss-cross the UK. Put all together they cover 667,000 acres – an area seven times the size of the Isle of Wight! 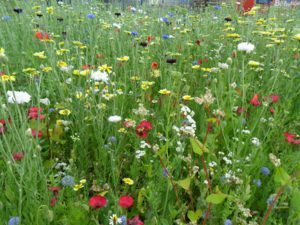 Think of the difference this could make for nature if each was cared for in a wildlife-friendly way. You might already be familiar with bees and butterflies, but did you know that many flies, beetles, moths and bugs are also important pollinators? 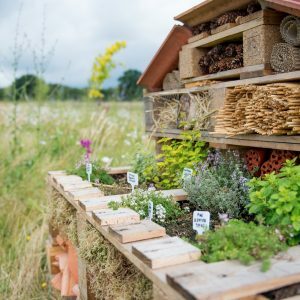 By planting nectar-rich flowers or building/buying a bug hotel, you will also be helping to protect countless lesser known insects, not to mention the birds, mammals and other animals that feed on them. Spending moonlight hours in the garden can bring exciting encounters with some of our best-looking pollinators. Start by luring in some interesting species! 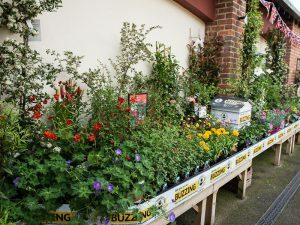 Plant night-scented flowers – evening primrose, tobacco plant and honeysuckle are often regarded as the best. Their long, tubular flowers are perfect for moths with long tongues which can reach inside to sip up their nectar. 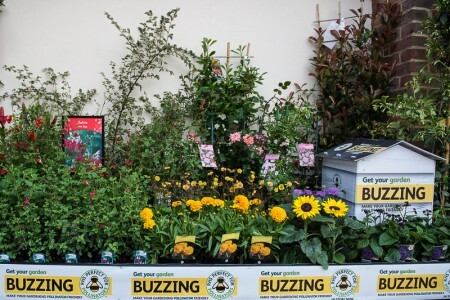 We have a wonderful selection of pollinating plants for you to choose from, along with some expert advice and recommendations from our helpful team. Why not visit our flower filled Celebration Garden for some added inspiration?